While Google Maps is an easy navigation solution, there are certain features that it can add. While the platform acts as a complementary tool that can be integrated with other features, there is also a service that can be added in Google Maps. With that said, Google is making it easier to summon an Uber right from within the app. That’s right, the latest update now lets you hail an Uber ride without ever leaving the app. Let’s see some more details on the subject and how you can do that. 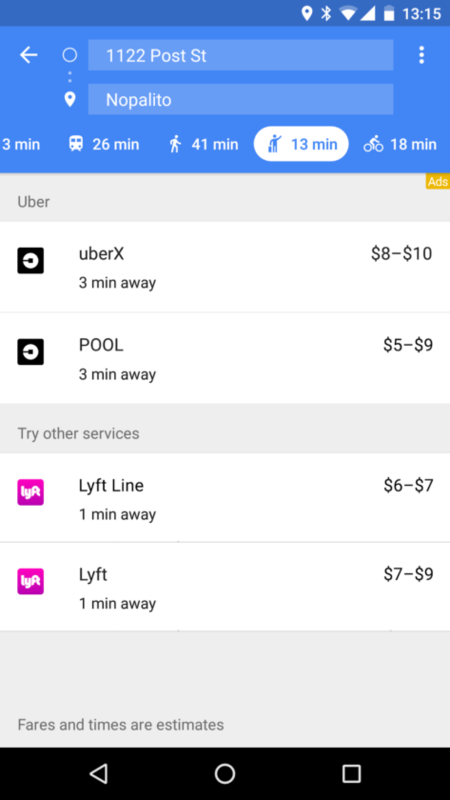 Before today’s update, you manually had to leave Google Maps in order to order an Uber, however, previously you had the option available to check for prices and begin the lift process. Nonetheless, you had to leave the app eventually. Now, the entire summoning process takes place from within the Maps app. It more or less looks like Uber built into the Google Maps app. All you have to do is sign in with your account details and the service will inherit all of your stored payment information and more details. The “ride services” section has been revamped in the new release. 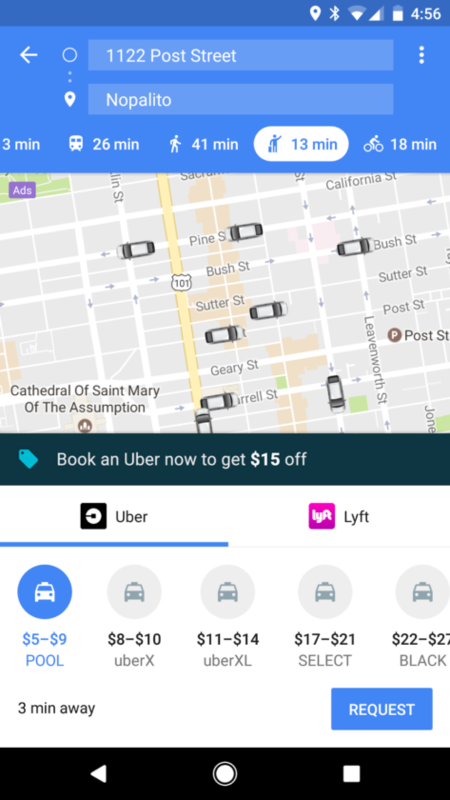 Instead of various ride services part of Google Maps, like Lyft, Uber and more with their distinct prices written beside them, you will see the conventional map representing the position of drivers. One thing to note here is that, only Uber supports this and currently, you can not hail a Lyft ride. While the update is pretty big in its own right, Uber would never encourage you to use it. This is because it has its own redesigned app available that more or less does the same job but with solely the purpose of hailing Uber rides. Moreover, some users might be reluctant to adopt the enhanced functionality in Google Maps, instead they will stick with the official Uber app. However, if you’re not a fan of Uber app, the decision rests at your end. The update is available for both, iOS and Android. According to Google, the update would begin rolling out for both platform globally starting today. If you haven’t received the update yet, do wait or check your host app stores. This is it for now, folks. What are your thoughts summoning an Uber from within Google Maps? Would you use this service? Share your thoughts with us in the comments.